Following his first competitive outing since shoulder surgery, Henry Shefflin is focused on making 2012 another year to remember for Kilkenny. HENRY SHEFFLIN IS building up speed on the road to recovery. A shoulder injury ruled him out of this season’s National League campaign, the third one he’ll miss in four years. He’s sick talking about the injuries, “ah you don’t want to know that, do you?” he groans when asked about the ball joint at the top of his right arm. It was a run-of-the-mill collision, he was caught and hit the ground hard in a semi-final for his club Ballyhale Shamrocks in a county semi-final. The shoulder was sore, but nothing that couldn’t be lived with and he soldiered on to the end… and the end of two more games after that before he was ordered into surgery. That was 2011, Shefflin is fully focusing on making 2012 a whole other year. Saturday, saw his return to action with Ballyhale. He scored two points, but nobody was raving about the performance, Shefflin least of all. He’ll get another outing this weekend, but June 23 is the only date he is working towards. That’s the day when they begin the defence of the Liam McCarthy Cup against Dublin – assuming Dublin can see off either Laois or Carlow. “They’ve had a serious injury list,” Shefflin said of the side relegated from division 1a, “but unfortunately that list has cleared up and they’re going to be a serious challenge this year. At 33 years of age, ‘King Henry’ still has years ahead of him, but time off with injury has been known to do strange things to men. The muscle tissue weakens, the brain becomes desperate to come back early and that disruptive combination makes extra cracks appear where none ever existed before. It is an amateur game, after all, in everything but deed. There comes a time when a man no longer feels the need to dedicate every waking hour to a jersey when there are still children to be reared. Thoughts of retirement then, Henry? “Ah no, I’ve had a few injuries, but I love doing what I’m doing. I get a great kick out of it. It;s been part and parcel of my life for the last…” Shefflin pauses momentarily, trying to remember a time when he was not a hurler, it’s not a question he can answer, “all my life,” he added. Email “Shefflin ready to put injury frustrations on the shelf”. 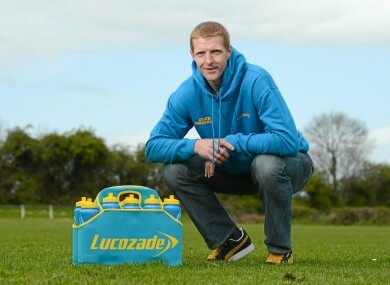 Feedback on “Shefflin ready to put injury frustrations on the shelf”.